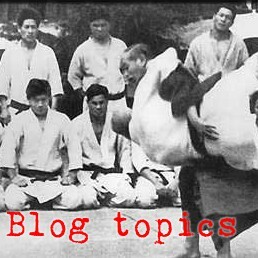 I have pretty much always held the opinion that Okinawan styles of karate, like Isshinryu, make a better combination of skills to compliment aikido than do some other styles, like some of the Korean or Japanese styles that are one or two generations removed from Okinawa. This opinion was not based on a huge amount of scholarship, but rather my informal observation of the more conservative postures and stances and the manner of how the Okinawan stylists tend to handle moving their mass around. Well, now Dan Paden has sent me this video clip of an Okinawan martial art with even more striking (pun intended) similarities to aikido. I'm glad you liked the clip. 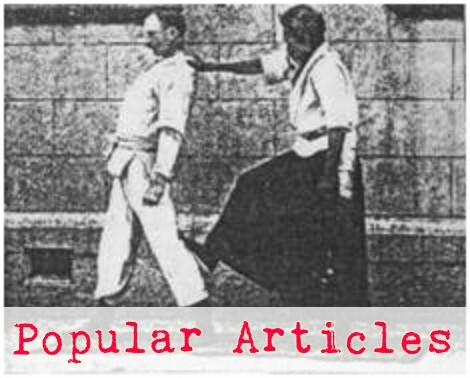 The history of Okinawan martial arts gets complicated very quickly. A good many people think that the "real deal" came very close to completely dying out shortly after the Meiji Restoration. If you're interested in more information, I'd suggest Mark Bishop's two books, and Seiyu Oyata's Ryu-Te no Michi. Fun stuff, nice pacing for learning-- I would have liked to see a little more leverage in the throwing techniques however.